A good story is magic. It is enthralling. Wondrous. Coming up with that good story is damn difficult business. If it wasn't, good films wouldn't be so rare. And that is why we have so much respect and admiration for those who conjure up the tales we fall in love with. 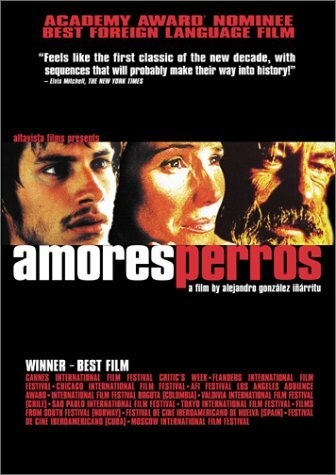 Amores Perros doesn't have one good story. It has three. All of them are magic. It's been on my "to watch" list for years...getting it next week!